Meeting a Pearl Harbor vet. A longer post or two on my trip to New Orleans is on the way, but let me get this one in real quick. Today we spent a good bit of time at the National World War II Museum. I fell behind most of the rest of the group due to snapping a bunch of pictures of vehicles and weapons, as well as talking to a few elderly volunteers about their experiences in the war. The gentleman pictured below took the cake. I was about to head upstairs to the Nazi eugenics exhibit and the D-Day exhibit when a fellow teacher pointed out a gentleman dressed in blue, wearing a ball cap, and sitting alone. She said that he’d been at Pearl Harbor. So I headed over to speak with him– the exhibits can wait; World War II survivors can’t. His name was Bert Stolier and he was a nonagenarian native New Orleanian. He stood up ramrod straight and launched into his stories. On December 7th, 1941, Bert was a young Marine stationed at Pearl Harbor and had made plans to visit Honolulu (to attend a dance, if I remember correctly). Then the Japanese attacked. He described the confusion, the waves of bombers, the ships sinking. He told us of men who jumped off their burning ships ship only to find they were diving into spilt oil. The oil saturated their cotton clothes, weighed them down, and they drowned. “Over two thousand of us died that day.” Of us. HIM: The generals wanted to see what was there. HIM: Dust. It was a wasteland. There was nothing. He was on board the USS Missouri when the Japanese formally surrendered. Bert saw and did a lot during the war, but there was plenty that he flat-out said he wasn’t going to talk about. That’s good enough for me. He went on. If I understood him correctly, he met his wife at a dance— he cut in on some schmoe who’d been dancing with her— and married her the next day. They ran an ice cream business called Swensen’s, which later became Edy’s. The Stoliers had a long and, based on his accounts, deliriously happy marriage, and several kids who went on to their own successes. And to top it all off, Bert mentioned that his father had also fought the Japanese. Back in 1904. In the Russo-Japanese War. His dad served in the Russian army, but quit out of disgust with his corrupt superiors and emigrated to America… only to have his son turn around and go back to the Pacific 40 years later to fight the Japanese again. Go figure. Meeting Bert was the highlight of my trip so far, but they wouldn’t let me keep him. I had to settle for shaking the man’s hand, getting a picture with him, and thanking him. ← On The Dark Knight Rises. I’ll fix the picture when I get home and can use a computer..
Met Mr. Bert today at Chateau Drugs and had a wonderful conversation with him. What a Hero and one real nice man. He told me about meeting Clint Eastwood and that his daughter lives next door and that he had a good time dining out with Mr. Eastwood and his family in Carmel Ca. I will always remember him. Kerry Melino owner of Chateau Drugs was telling me what a fine man Bert was. My Best to Bert always. Walter Cook. My 13 yr old son and I had the honor and pleasure of meeting and speaking to Mr Stolier. I told him my son was doing a project on Pearl Harbor and he sat with him for 15 minutes telling him his experiences and being patient as my son wrote. I am lucky to have met a man and hero. 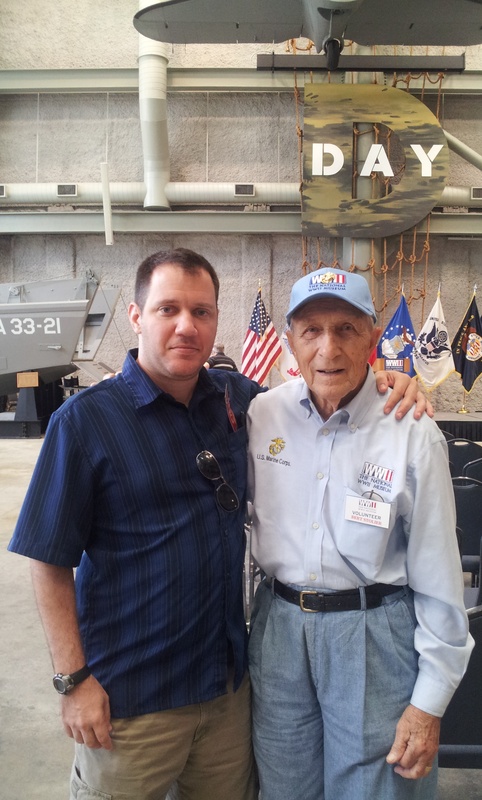 Visited the WWII museum on April 13, 2013. We spent 45 minutes talking to Bert. A truly amazing and wonderful person. It was an honor to have met him and learned about his life’s experiences.